A Guild is like a team. Guilds are groups that gather together to represent their team and team beliefs. What do Members in Guilds do? Play NINJA! All ninja stuff is respected. The fact is, we are all here as Narutards would love to participate in challenges and missions just like ninjas!! So let us keep a friendly demeanor and enjoy our guilds. What purpose do guilds serve? JUST FOR FUN. Just cause we are Narutards and we can! What types of Guild names can we have? The possibilities are endless! 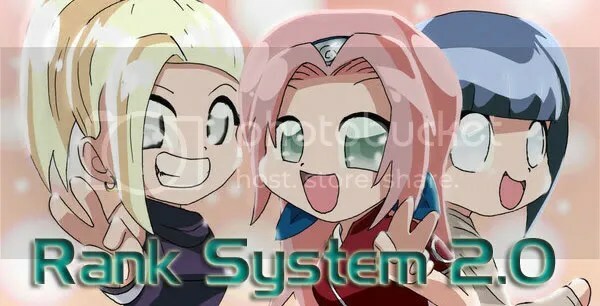 Some examples include: Neji-Lovers Guild, Team Akatsuki, Team 7 Guild, Shuuriken5 Guild, etc. If it’s Naruto-related, it can probably be made. What type of challenges will teams participate in? From time to time there may be challenges. For examples: The team that creates the best avatar pic. The team that does the best Captions. The team that participates the most in Collaborative Posts. The games and challenges may vary; but remember to keep it professional and respectful as ninjas do. How do I know if my Guild Application has been accepted? Team Leaders will approve members from entering into a guild. Admins will not approve members into a guild without Team Leaders’ approval or the guild password. Also, under the *Guild Page there will be a list of Accepted Guild names along with its members, logo, and team badges. So check often! Note: You may not star or lead in multiple guilds. You must leave your current guild if you wish to join another. Be sure you have all of the above requirements before submitting it to an admin. Check and double check spelling and for errors before submission. Ideally, include Guild logo through link (no hyperlinks!). A badge is an award merited to deserving Shannaro members. Any member on Shannaro can earn badges! A badge is awarded to those that exemplify certain skills and noble traits. Badges are awarded to those that respectfully represent the badge. It can also be awarded to those that obtain certain skills, or represent their team,or even for staying true to their ninja way. For example a potential badge can be called: The “Avatar Builders” badge; which, will be listed to those who actively help others build avatars. “Red Cross” badge can be given to those on the site that are most helpful. Those on the site whom are helpful will in turn be rewarded with a Red Cross Badge. Possibilities of badges are endless, and you can be rewarded with as many as you can earn! How do I know if I’ve earned a Badge? Check the Guild Page. Search for your name. Following your name there should be a list with your rank and earned badge icon(s). What types of Badges are there? + If you have more badge ideas let us know! Your idea may become posted here! Join a guild! Represent your Guild as much as possible w/ your ethics and what your team believes in! Support your colors! Support your Logo! Support your motto and your way of the ninja! While doing this, help your Guild earn Badges! In addition, be a Narutard and comment on the blogs, write original blogs, and be an exemplary Shannaro member! You will be rewarded! Let me start by saying, if I was in a ‘guild’ it would be named the Shannaro Fanfic Wolfpack. If anyone fanfic writer is interested to join, let me know. Second, this is a sweet idea Guru. I forgot about a question I wanted to ask. Does everyone have to start from the bottom, or are some going to be at a certain rank already? sounds awesome. for some reason, i feel sad though. but i hope u guys know what u r doing. some guy names their guild “pein” and the other guy calls theirs “naruto”. u know what i’m talking about, just think about what might happen. so i think its vital that there are rules that take care of that. i can’t wait to see how this affects shannaro (needless to say it will have some affect). good luck to narutards interested in creating dog guilds and frog guilds and the like. I’ll be ranting about how much I love Sasuke, and then Kiku will call him gay. Duski agrees, but we tell her to shut up because she’s an Akamaru fan. She then calls him emo, but I counter with saying Gaara is emo, and it all goes down from here…. 1. If you do not wish to be in a Guild you are welcome to fly solo. 2. All members of Shannaro are still able to earn Badges with or without a Guild. 3. The teams are a new way of meeting friends and helps to establish a better community here on Shannaro. 4. There will be no tolerance of anti-ninjadom. 5. Bidding for Guilds starts NOW! I want to join someone else’s guild first so I can learn about guilds then I will make my own! Very interesting. Now i wonder which guild/Clan should join. Im pretty busy, not sure if anyones gonna accept me part of their clan. oh sweet, my avatar finally changed to the pic i wanted! Great idea i am making a guild right now! Ok I gotta recruit members so heres info on my guild. Writers Of Random Documents-Guild (or as i like to call it W.O.R.D.-G) This guild is for people who love to write anything creative from theories, to fanfic’s, to random blogs, and even to blogs about obscure points in and out of the Naruto world. The people in this guild will be able to help each other out, give points of reference and other things like provide art/pics for post’s, etc. Anyone interested please write a follow up comment and i will recieve it immediatly. Thank you for all future members. Whats going on with this idea G? I am awaiting guild submissions. In the meantime, I am finalizing the Merit Page. zepwolfx, I would love to be in the Shannaro Fanfic Wolfpack!! =] I always have a new fan fic story in my head. Sweet, let me just come up w/ the neccessary info, and create it. Anyone else interested let me know.